Unpredictable is how I'd characterize the weather in Ohio this year, and August has been no exception. 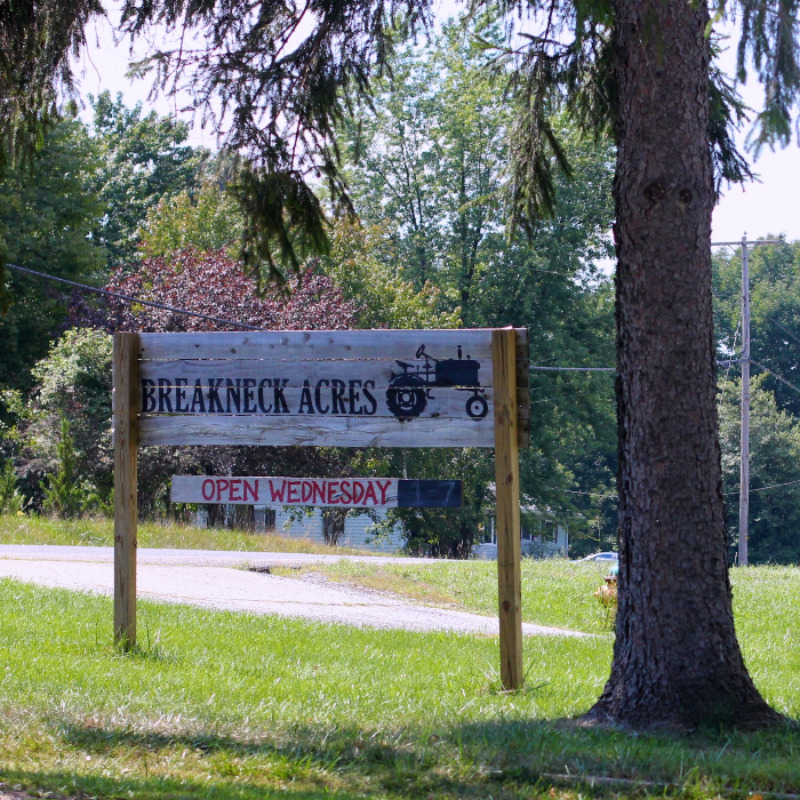 Instead of hot and sticky, it's cool and sunny, a perfect day for a drive to Breakneck Acres Organic Farm in Ravenna, Ohio to pick up a basket of Roma tomatoes. 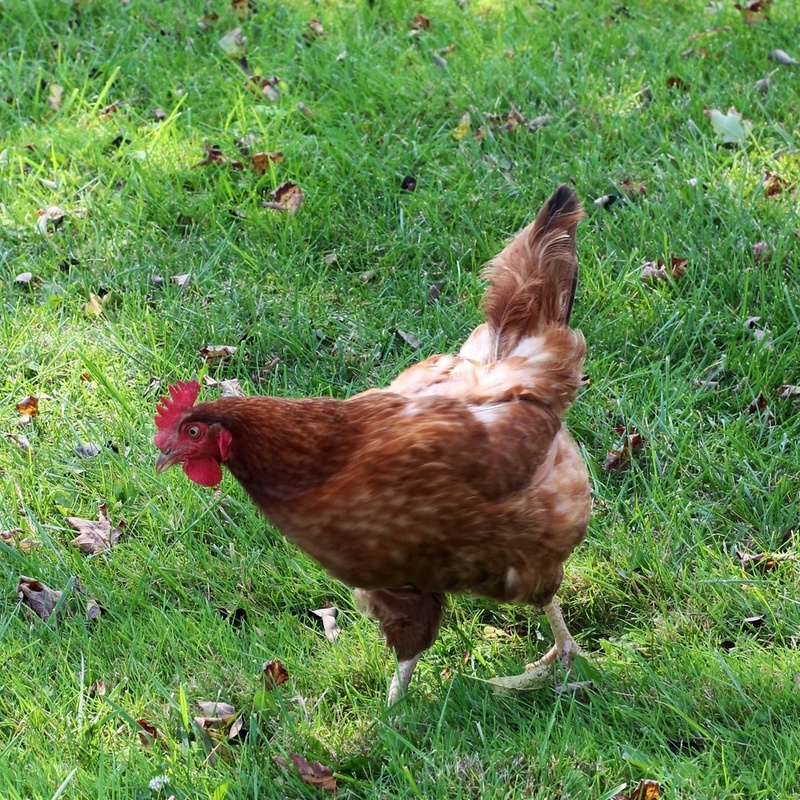 Breakneck Acres is a certified organic farm that specializes in growing a variety of fresh vegetables, heirloom dry beans, farm fresh eggs, and specialty small grains. 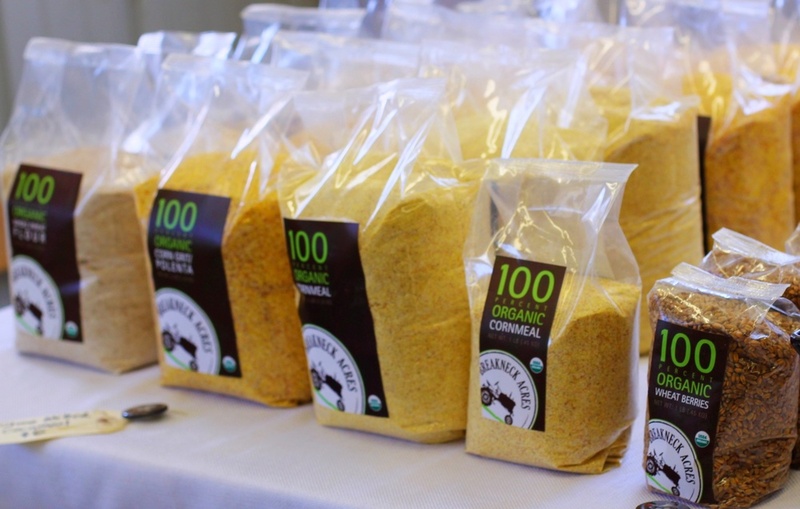 Whole wheat flour, cornmeal, and polenta are milled on the farm using a handcrafted stone mill from Austria. 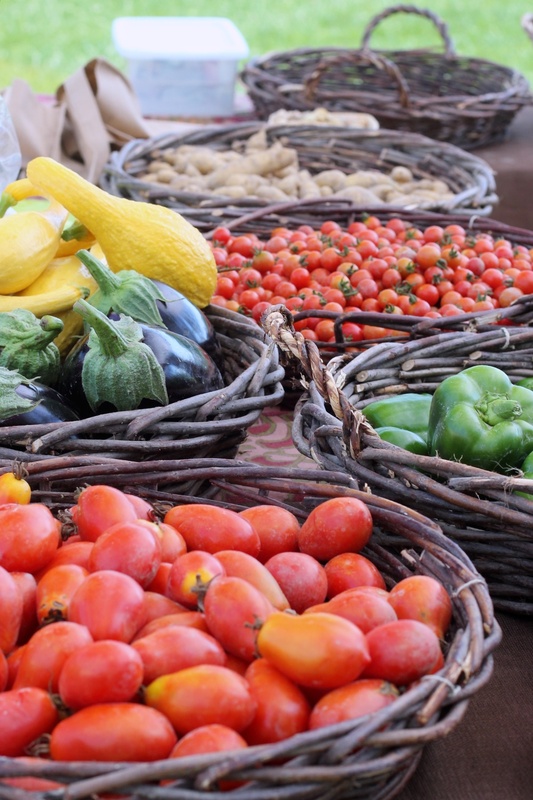 A summer's bounty of organically grown vegetables nicely displayed at the farm stand. At the end of the summer I like to make a large batch of tomato sauce that I freeze and enjoy throughout the winter. The recipe I use is very simple, with few ingredients and a minimal amount of cooking. The flavor is fresh, delicate and tastes of summer. It's best to use Roma tomatoes when making sauce. They are meaty as opposed to juicy and produce the best results. My favorite recipe is by Marcella Hazan from her Classic Italian Cookbook and it is the one I've been using for years. The tomatoes are washed and sliced lengthwise. No need to peel the skins. They are simmered in a covered non-reactive stock pot (no aluminum) for about 10 minutes until they release some of their juice. Diced onions, carrots, celery, salt and pinch of sugar are then added to the pot and simmered once again uncovered, for 30 minutes. I like to let the sauce cool a bit before pureeing it a blender or a food mill. A little olive oil is added and the sauce is simmered for the last time for about 15 minutes. At this point it can be used immediately or stored in glass canning jars or plastic freezer bags in the freezer for several months. 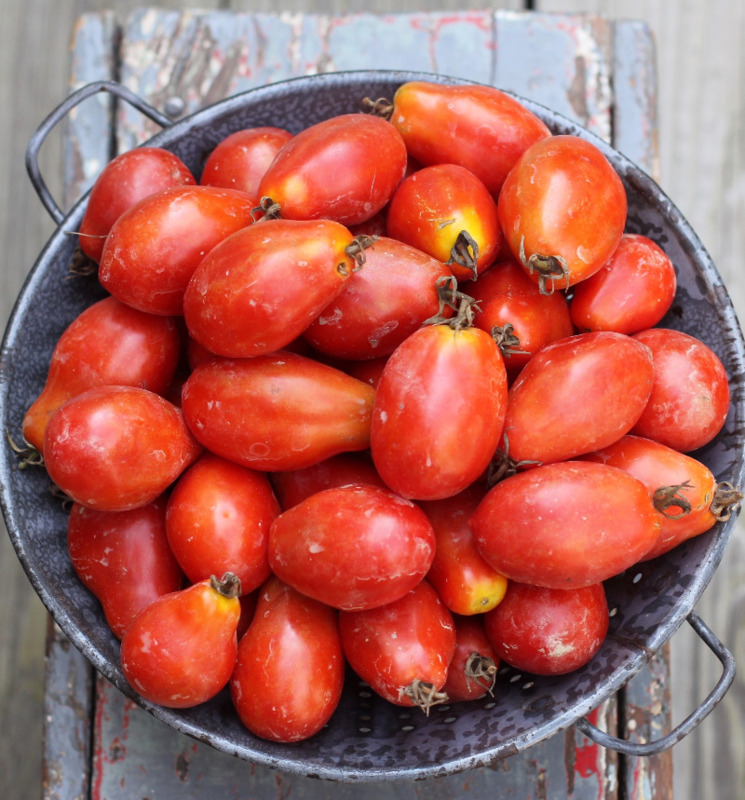 Wash tomatoes and cut them in half lengthwise. Cook in a covered non-reactive stockpot over medium heat for 10 minutes. Add celery, carrots, onion, 2 t. salt, and sugar. Cook at a steady simmer, uncovered for 30 minutes. Allow to cool slightly, then puree in a blender or food mill. Return to pan, add olive oil and cook at a steady simmer uncovered for 15 minutes. Serve immediately or freeze in canning jars or plastic freezer bags for several months.